On her own since Noah walked away, Laken finds her resistance to Xander crumbling. As she turns to him for comfort, the stranger in the woods reappears, threatening Xander and his father, Caleb. When Caleb reveals the secrets he and Xander have been protecting, Laken realizes she must stop at nothing to help them defeat the stranger. But Xander eludes him, and Laken is captured instead. 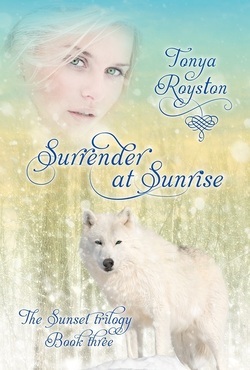 Facing an unknown fate at the hands of a mad man driven by greed and jealousy, she resolves to fight to the bitter end for her life and her love. The stakes are high, and no one, including Dakota, is safe. Will Laken survive, or will the curse she dismissed as a fairy tale prove to be true? Tears burst from my eyes. I couldn’t believe this was happening. How could I have been so stupid to leave my phone in the truck? Dakota wasn’t even around to protect me. Left with no choice but to obey, I held still as his hand dropped from my mouth to my ribs, anchoring my body against him. “There, now. It’s much easier to cooperate, isn’t it?” he asked. One of his arms released me and a strange pop sounded, like that of a cap coming off a container. Then a needle pierced my upper arm through my sleeve and something cold was pumped into me. As the liquid circulated through my veins, the dim light from the single bulb outside the house blurred. I fought to stay awake, but I lost that battle, watching the shadows whip around me for a split second before my world went black.